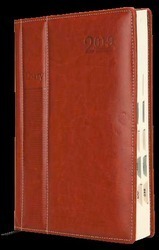 Leading Manufacturer of business diary, corporate diary in foam, business organizer and wooden notebook from New Delhi. We are the best provider of Business Diary in attractive patterns. These stylish executive diaries are best in design and processed with superior ingredient. They are provided with protective and attractive cover in standard look. They are available in abundant sizes and colors. We well verify our ranges and supply them in the provided time frame at attractive market rates. We design ideal Corporate Diary for executives. These standard colors and designs are supplied to various companies and retailers across the nation. They are superior in quality and style. We manufacture them using standard materials and papers which are acquired from authentic sources. These are perfect in size and provided at the reasonable market rates. With years of experience in this domain, we have carved a niche for ourselves, by offering a wide assortment of Corporate Organizer. The offered Corporate Organizer provides a great comfort in carrying and contains all essential details helpful to the user. 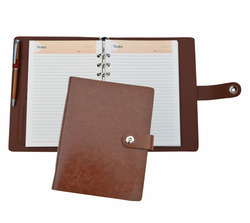 This Business Organizer is used for gifting to the employees working in MNC, bank or life insurance company to note down their daily achievements. The offered Business Organizer is highly cost effective and well known for their excellent finish, durable standards and portability. ince we have developed our base in this highly competitive market-place, we are readily engaged in offering an inclusive compilation of Wooden Note Book. This variety of the products is hugely in demand by our respected patrons for optimum finishing and attractive designs.